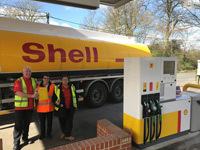 Refuel & Go are an independent Forecourt Retail Company operating Petrol Filling Stations & Convenience Stores across the South East of England. We operate petrol filling stations in London, Essex, Surrey & Kent. Our fuel partners are BP & Shell with Spar branded shops providing customers with an unrivaled retail experience.